Manchester United won the first overseas Manchester Derby In Houston, Texas at the NRG stadium 2-0, with Romelu Lukaku scoring his second United goal and Rashford backing up with another just two minutes after. Pep Guardiola's Manchester City lacked perpetrating power, though controlled more of the ball and didn't seem to trouble the United Keepers. Manchester United displayed some perfect attacking play coupled with some good defensive display, something to look forward to next season. The Manchester teams started the second 45 calm but City now controlled more of the ball, before Rashford went for goal in the 52nd minute, firing a shot over and setting a free header for Lukaku to waste, another two minutes later Lukaku's shot got the wood work leaving him frustrated. Jesus would have called one in for City after Romero made a mistake in rolling a pass to him but luckily, Romero's legs got in the way and the game remained 2-0 for United. Fellaini, Carrick and Martial came in to replace, Rashford, Mkhitayan and Herrera in the 63rd minute activating the Mourinho's 60/30 rule, he said in the press conference concerning rotations for the Real Madrid and Manchester City fixtures. Manchester City enjoyed more of the ball while Manchester United had more attacking chances, Pogba got close with a shot which almost looked like a goal but was the side netting. 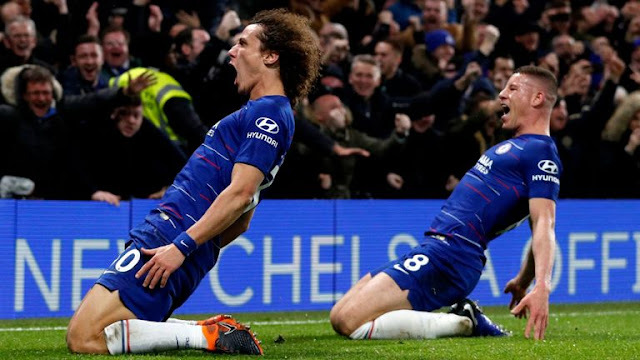 He practically came into light after the substitutions, dropping slick dribbles on Fenandinho and setting up Felaini, who couldn't make it three. Jose Mourinho made just four changes bringing in Sergio Romero, Matteo Darmian, Eric Bailly and Phil Jones on for De Gea, Blind, Smalling and Lindelof. Pep Guardiola almost made eleven subs before the start of the second 45 bringing in Leroy Sane, Gabriel Jesus, Samir Nasri, Brahim Diaz, Eliaquim Mangala, John Stones and Nicolas Otamendi all on for City. Ederson, Walker, Fernandinho and Foden are the only first half survivors. Frustrations in the Camp for City as company spent time kicking the side netting, even got tangled with it. Manchester United had their intentions known from the very start and with Ander Herrera, forcing a save from Ederson in just four minutes into the game. It was no surprise at the end of the first half that Manchester United had already made two goals. 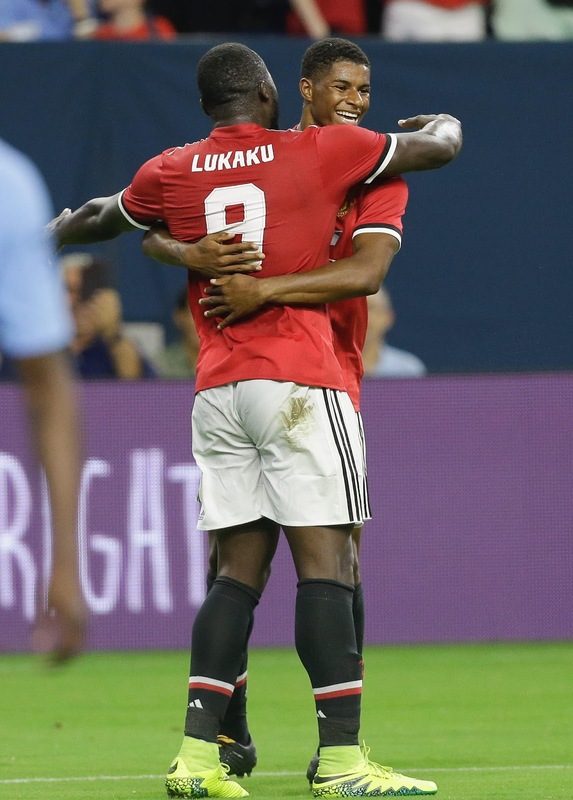 Jose Mourinho had Rushford and Lukaku start together for the first time though Rushford started this time from the right and it actually paid off well, as both netted before halftime spoiling the debut for Ederson and Kyle Walker. Ederson and Kyle Walker had their debuts today but kyle, was the less seen of them both. Ederson was constantly called to make saves, stopping shots from Herrera, Mkhitaryan, Rashford and Lukaku. He did well in making five good saves before the first 30 minutes and had a good debut up until Lukaku sent the ball past him in the 37th minute. 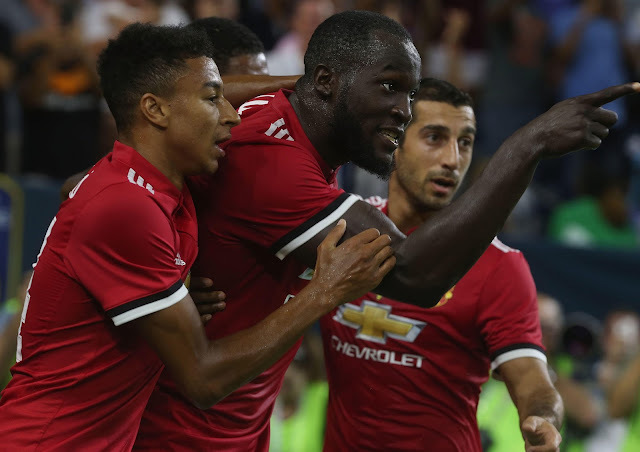 Lukaku finished off a fantastic opportunity, as Ederson came outside his box, while Adarabioyo and Company headed towards him, for their defensive duties, Rashford doubled the lead in the 43rd minute slotting home a shot pass from Mkhitaryan. Manchester United had and excellent defensive display, with Victor Lindelof running things in the Center while Valencia right back and Blind to complete his three Man defense which obviously was very effective in clearing out City attacks except for few slips. 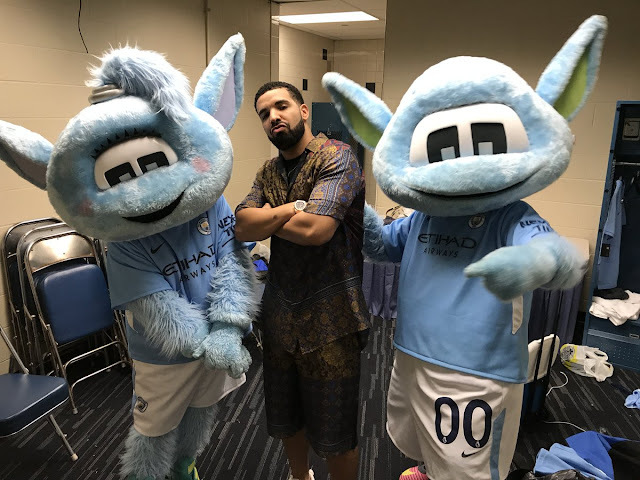 Drake came around to witness the game, spending some minutes with Manchester City crew and also take Selfies.